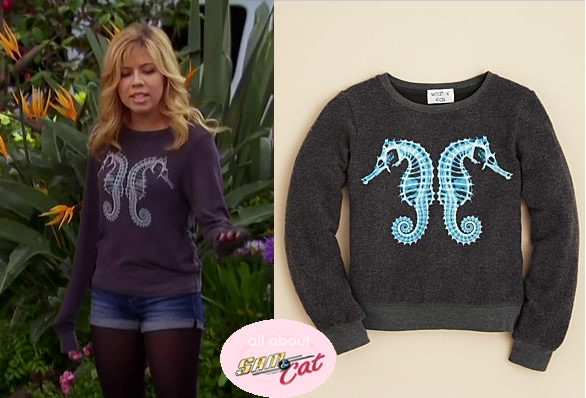 Sam Puckett (Jennette McCurdy) wears this Wildfox Double Seahorses Grey Baggy Beach Slouch Sweatshirt in this episode of Sam & Cat. 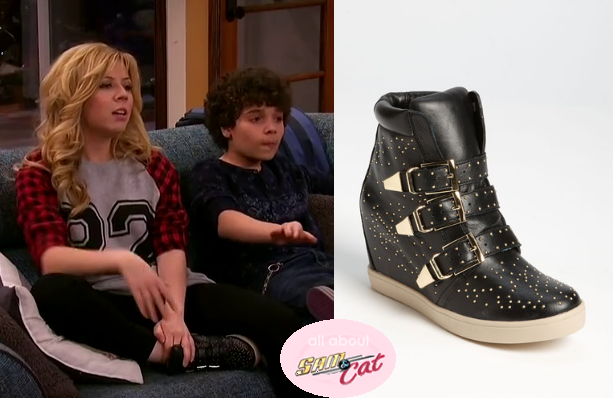 Sam Puckett (Jennette McCurdy) wears these Steve Madden Jeckle Small Stud Wedge Ankle Sneaker boots in this episode of Sam & Cat. 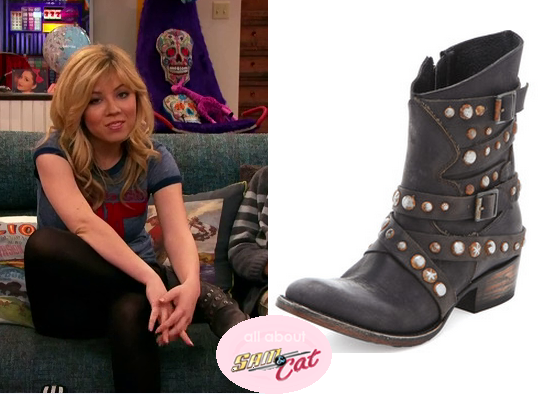 Cat Valentine (Ariana Grande) wears this Free People Yellow with white lace cut out Viole and Trapeze Ruffle Slip Dress in this episode of Sam & Cat. 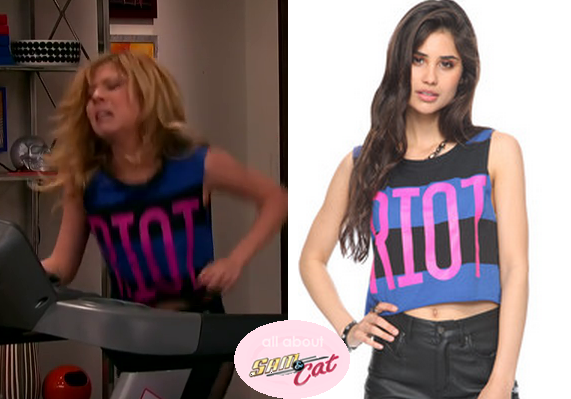 Sam Puckett (Jennette McCurdy) wears this Forever 21 Blue and Black Striped Pink Printed Cropped Riot Tank Top work out top in this episode of Sam & Cat. 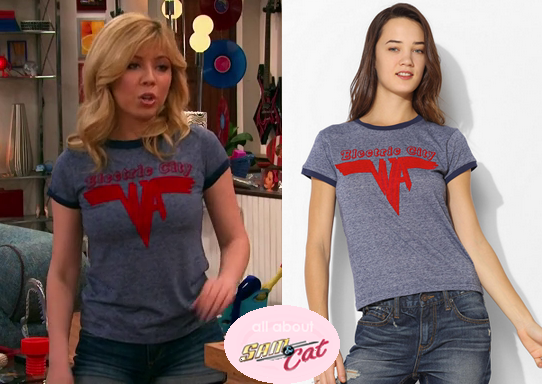 Sam Puckett (Jennette McCurdy) wears this Blue Project Social T Grey with Red Paint Printed Trimmed Electric City Shirt in this episode of Sam & Cat. 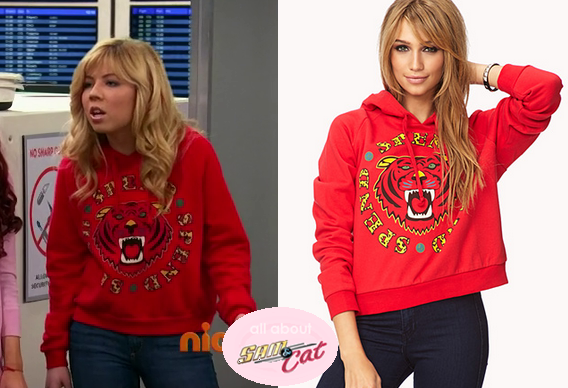 Sam Puckett (Jennette McCurdy) wears this Forever 21 Red Tiger Spend Spend Spend hooded Sweater in this episode of Sam & Cat. Kirsty Bell / Dressinglikedisney. Simple theme. Theme images by Ollustrator. Powered by Blogger.